INTO THE BELLY OF THE BEAST — Fearful that he will be caught, Archie (KJ Apa) hits the road and ends up at a farm outside Riverdale, where he meets Laurie Lake (guest star Riley Keough). Meanwhile, after Alice (Madchen Amick) takes extreme measures to ensure Betty’s (Lili Reinhart) safety from the Gargoyle King, Betty finds herself up against a formidable foe from her past. 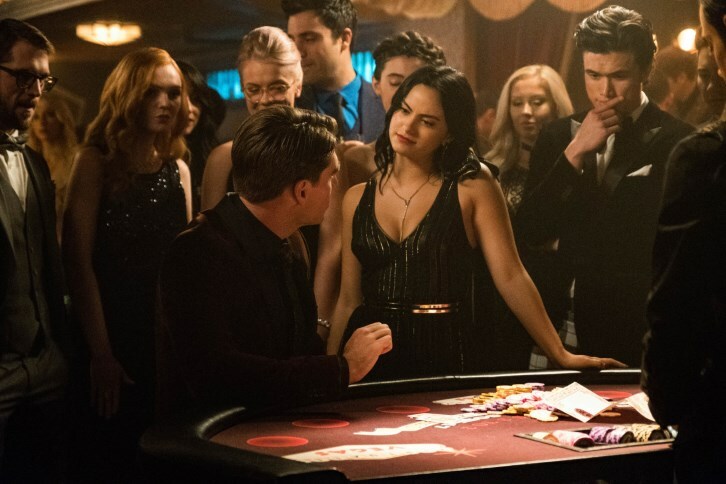 Finally, after learning that La Bonne Nuit is in trouble, Veronica (Camila Mendes) makes a risky business decision that could cost her everything. Cole Sprouse, Marisol Nichols, Mark Consuelos and Charles Melton also star. Alex Pillai directed the episode written by Janine Salinas Schoenberg (#307). Original airdate 12/5/2018.